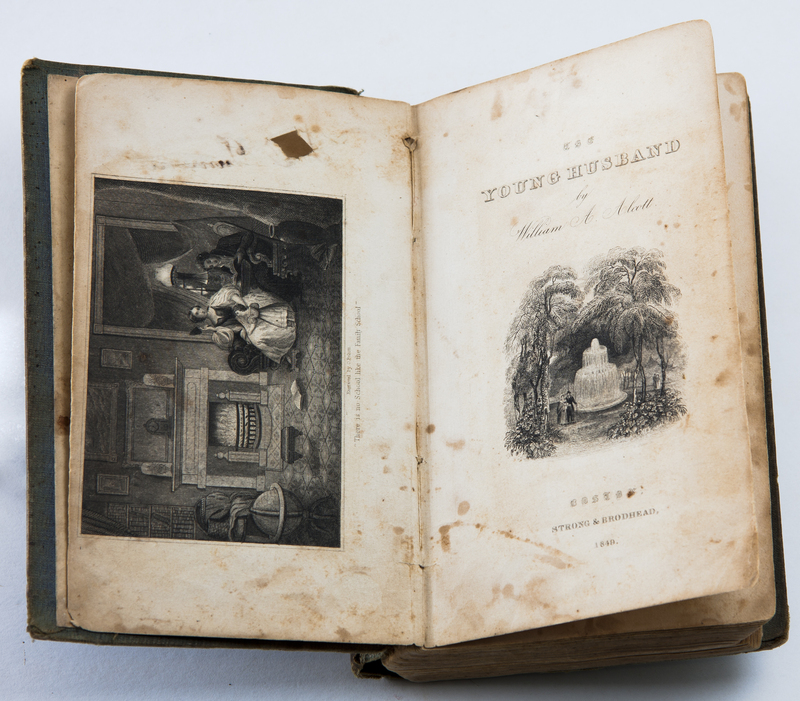 Advice manuals as a distinct form of literature began appearing as early as the 17th century. William A. Alcott (1798-1859) was a prolific 19th-century advice writer and proponent of vegetarianism with a keen interest in civil, social, moral, and religious reform. He wrote numerous manuals and guides addressing marital, domestic, cultural, financial, and health and dietary matters. 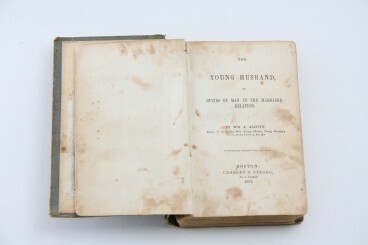 First published in 1838, this edition of The Young Husband is the twentieth and final. In it Alcott covers a wide range of issues of concern to new or soon-to-be husbands: career choice, selection of a wife, living away from one’s parents, how to furnish a home, the concept of human agency, conducting prayer, structuring one’s morning, leisure, and evening hours, developing and sustaining love in a relationship, how to give constructive criticism of one’s spouse for her self-improvement, chronicling one’s life in letters and journals, which newspapers and novels to read, how to make and keep friends, conflict management, gift-giving, having a sense of humour, the importance of discretion and decision, charities, dress, maintaining one’s health, finances, and finally death. The “Sickness and Medicine” chapter echoes considerations familiar today: the benefits of employing a physician on an annual basis and the dangers of relying too heavily on one’s home medicine cabinet. Curiously, the volume does not address the subject of children.